I am a fully qualified Hypnotherapist and a deep tissue/sports Massage Therapist. My experience as a Hypnotherapist is constantly growing. I have had great success treating clients with my Hypnomassage and Hypnobreathe treatments for phobias and fears, smoking cessation, self esteem and confidence, weight issues and sports performance. I offer Hypnomassage appointments for either 60 or 90 minutes. A consultation of up to 30 minutes is conducted, this is essential for me to fully understand the presenting problem and the desired outcome. My vast experience as a Masseur, enables me to create the perfect combination of massage and hypnotherapy. Hypnomassage is a relatively new treatment, but it is already creating a lot of interest and publicity. It uses the combination of a relaxing, hypnotic state inducing massage, combined with appropriate hypnotic suggestions. The deeper the hypnotic state, results in a more profound and powerful treatment. The effect of the two disciplines working simultaneously can lead to enhanced relaxation, which facilitates deeper access to the subconscious mind. As the relaxing massage strokes and hypnotic suggestions combine, clients are gently guided towards a deep hypnotic state. Once this state is reached, I use appropriate hypnotic suggestions with an emphasis on breathing, to enable clients to visualise the powerful healing effect of each 'in breath' and 'out breath'. Hypnomassage is an extremely versatile treatment incorporating meditation, mindfulness and NLP. It can be used to treat many different issues. Hypnobreathe Bespoke Recordings are created after an initial telephone or Skype consultation, ensuring that the hypnotic suggestions and techniques used are specifically created for the client's needs. The process of focusing on suggestion, visualisation, meditative breathing and internal exploration, allows a deeper understanding of ones ability to change. The recording will take up to 3 days to complete and will be sent as a MP3 audio file via Dropbox or a CD Rom for UK residents. - Qualified as a Hypnotherapist and NLP Practitioner in September 2013. - Created Hypnomassage in May 2013. A free telephone consultation of up to 15 minutes is offered. Since having discovered Floyd on the hypnotherapy directory website last year, I have had two Hypnomassage sessions with him which have significantly reduced my anxiety and stress levels. I was looking for further treatment concerning my anxiety and so looked into the Hypnobreathe recordings he was offering. The tranquility and relaxed state I was able to experience through my personal recording was amazing. Floyd's calming voice guided me through a deep hypnotic trance where I visualised the reduction of my anxious thoughts with every 'in-breath' and expelled them from my mind with every 'out-breath'. Again his voice guided my breathing and visualisation through my self-hypnosis experience. 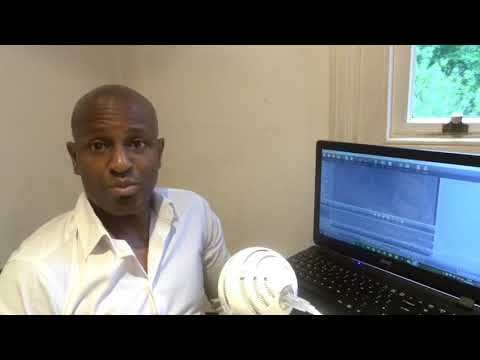 My experience with Floyd's personalised Hypnobreathe recordings was very professional from the consultation, the preparation of the recording and the delivery via dropbox. Floyd's voice is very clear and relaxing and especially easy to follow. I would recommend this treatment to people who suffer with stress. I discovered Floyd while searching on the Hypnotherapy Directory website. I have experienced many different types of hypnotherapy treatments from several hypnotherapists but I had never heard of Hypnomassage before, I thought the concept was great so I had to give it a try. During the consultation with Floyd, I explained how hypnotherapy had helped me in the past and how anxiety and stress, had always affected my life. The feeling of calm and relaxation felt during the treatment was different to all my previous hypnotherapy sessions. The hypnotic trance that I experienced was incredibly deep and at some points, it felt like Floyd's hands were actually massaging my internal organs inside my body, rather than my skin. Floyd's voice combined with the massage, guided my breathing and visualisation, resulting in an 'out-of-body' type experience. Since my treatment, my anxiety and stress levels have reduced significantly. My husband kindly bought me a Hypnomassage gift voucher for Christmas. I decided to use the voucher, as I had been suffering from insomnia for a couple of months. The combination of Floyd's massage, suggestions and the tone of his voice, made me feel incredibly relaxed and calm. The feeling remained as Floyd continually focused his suggestions on the effect my breathing was having on my body and mind, and how it would allow me to sleep deeply and peacefully in the future.After the treatment, Floyd told me to be careful the next morning, because I would have the potential to sleep right through my alarm. I went to bed feeling less anxious and I experienced a very deep sleep that night. I did indeed, sleep through my alarm in the morning.Floyd recommended that I should use the same breathing technique and have regular self-hypnosis sessions.I felt that the treatment was a great success. Hey Floyd...thank you so much for the hypnotherapy session while I was in London. It was super duper fantastic therapy for my cough which I've been suffering for the past 4-5 months before our session. Well, I'm still using your method till now and it surely helped me so much. I wouldn't mind to fly all the way to London from Malaysia just for the hypnotherapy session... Keep up the great work. By the way... I'm no longer on cough or asthma medication!!! I have been seeing Floyd for regular massages for many years. As I was experiencing difficulty in processing the recent death of my brother, Floyd recommended his Hypnomassage treatment.The combination of Floyd's massage strokes and suggestions, enabled me to effortlessly drift into a very calm, relaxed state. Floyd then went on to focus his suggestions on my breathing and visualisation, placing great emphasis on each 'in breath' and 'out breath'. I believe that Floyd's Hypnomassage technique, is extremely powerful and healing. A few days after the session, I was able to slowly start the grieving process.